Jessica Chastain in the Running to Play Jane in David Yates’ TARZAN? It appears that Warner Bros. and director David Yates may have settled on who they want to play Jane in the upcoming Tarzan adaptation. Word on the project has been fairly quiet since Yates committed to it as his next project after helming four Harry Potter films back-to-back. Last November, it was reported that Alexander Skarsgard was the frontrunner to tackle the title role in the film, with Samuel L. Jackson being eyed for a supporting role as a an ex-mercenary who helps Tarzan save the Congo from a warlord. Now word comes that recent Best Actress nominee Jessica Chastain is being eyed to tackle the role of Jane in the film. Hit the jump for more. The folks over at the New York Post report that Chastain is the first choice to play Jane in Yates’ iteration of Tarzan. No further information is given, and Chastain is understandably flooded with offers as she’s one of the best and most exciting young actresses working today, so there’s no guarantee that she’ll commit to the role. Chastain recently became attached to star opposite Colin Farrell in the adaptation of the stage play Miss Julie, but she has yet to sign on to any other future projects. There’s still no confirmation regarding the other Tarzan casting too, so it’s also possible that someone other than Skarsgard could end up landing the title role. Yates did a fantastic job bringing the Harry Potter franchise to a close, though, so I imagine he won’t be lacking for talented actors that are eager to work with him. 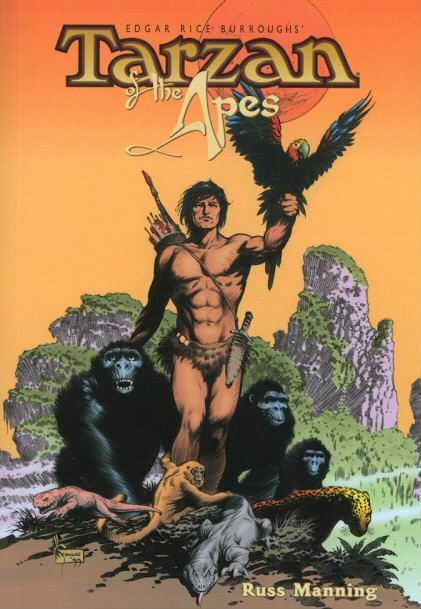 Previous reports had Henry Cavill and Charlie Hunnam (Sons of Anarchy) also being eyed for the Tarzan part, so it’ll be interesting to see who ultimately brings the character to life on screen.